SERVICES - Weston Landscape & Design, Inc.
A professionally designed and installed landscape will not only enhance your enjoyment of the outdoors, but also add value to your home. At Weston Landscape & Design our professional team will work closely with you to create a landscape that is attractive, functional and sustainable. 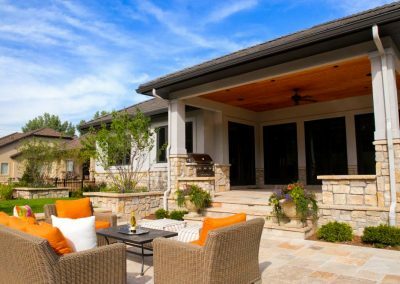 Whether it is a “Colorado Style” landscape, an inviting outdoor room, pool and spa, or a modern living space we specialize in making your dream a reality. 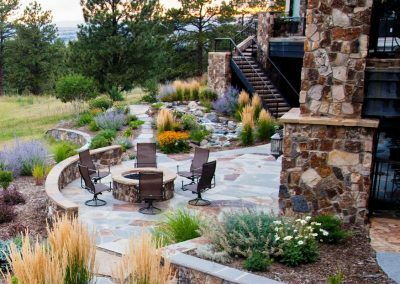 Weston Landscape & Design has been maintaining and enhancing Denver’s premiere properties for more than 15 years. We take great pride in the properties we maintain and strive to ensure the highest quality of care is taken for our client’s landscape needs. We offer a full maintenance program for both residential and commercial properties. Our maintenance department employs a team of highly qualified individuals. The design/build process allows the client to work hand in hand with our team of specialists to design and install a beautiful and long lasting Landscape project. landscape plan, depending on the design services needed. From Master Gardeners, ISA Certified Arborists, to plant health care specialists specialize in high-end residential estate maintenance and garden care. We develop a specific maintenance program for each property we take care of.